Interest in Yiddish for Dogs, a program of Workmen’s Circle, shows the ancient language is far from dead. In fact, it's here to "shtai." Yiddish has been spoken for more than a thousand years, but anyone thinking it’s a dead language in today’s world need only look to the Workmen’s Circle to see that’s not true at all. 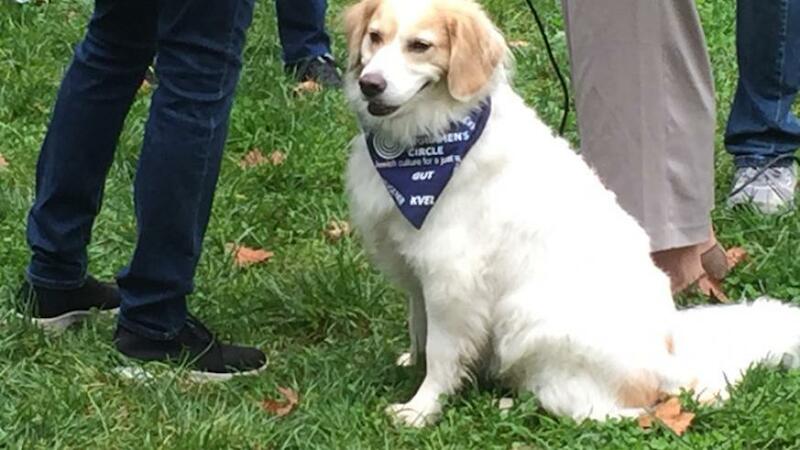 In fact, the city-based Jewish social justice organization has been teaching the ancient language to more than 450 New Yorkers annually, a number that doesn't include their dogs, who can learn some vital commands in the language thanks to its popular Yiddish for Dogs class, the third of which was to take place Sunday in Central Park, but has been postponed due to the inclement weather expected. The Yiddish for Dogs classes pair Adrian Silver, an advanced Yiddish class student, with Miguel Rodriguez, a longtime certified master trainer and founder of City Dog Pack, which offers dog training, sitting and walking services. Thanks to his grandparents, Silver has spoken Yiddish since childhood and sought out Workmen's Circle for a refresher about 10 years ago. And while he shared that Jews traditionally don’t speak Yiddish to their pets, he isn’t surprised by the interest in Yiddish for Dogs. “There’s been a lot of interest in Yiddish that I’ve seen over the past 10 years, but it can be intimidating, and who can you actually speak to anyway?” he said. “People don’t know someone else who knows Yiddish; it made sense to me that they’d want to learn and speak it with their close companions who they don’t have to worry about speaking back,” he added with a laugh. As Silver had hoped, Yiddish for Dogs has been a gateway to New Yorkers wanting to learn more about the ancient language by taking classes via Workmen’s Circle, “but we haven’t seen any of the dogs,” he joked. Yiddish for Dogs costs $15. To reserve your spot, visit circle.org/event/yiddish-for-dogs.